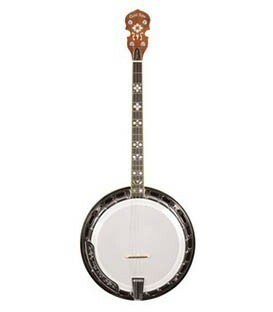 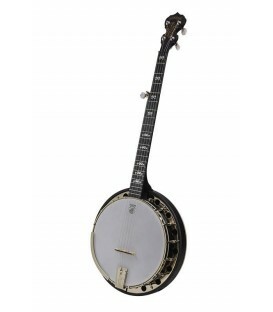 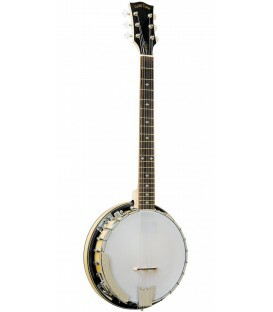 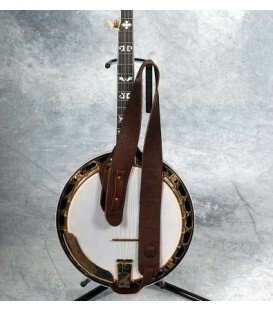 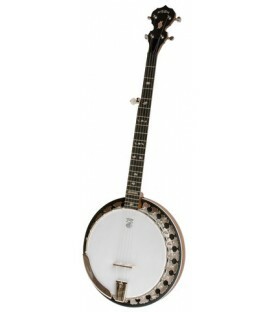 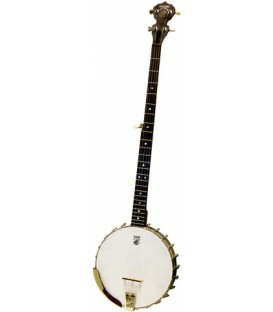 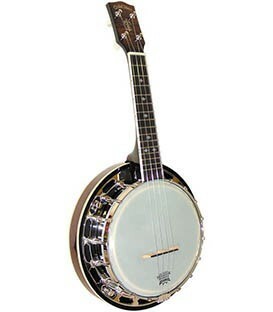 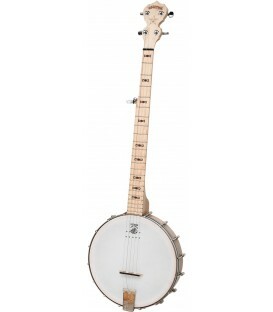 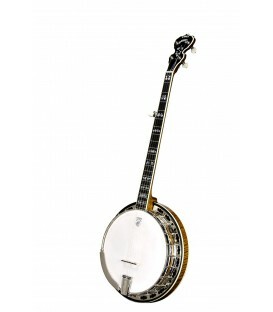 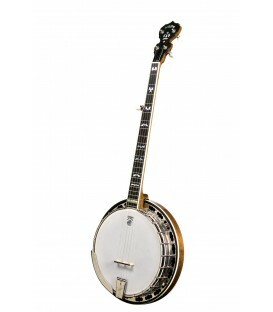 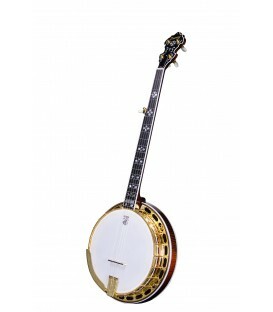 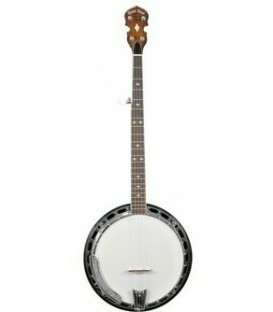 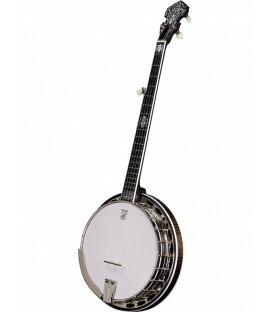 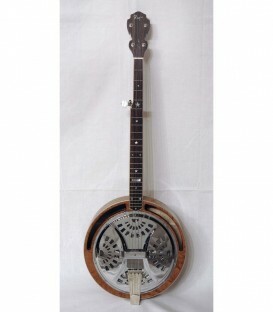 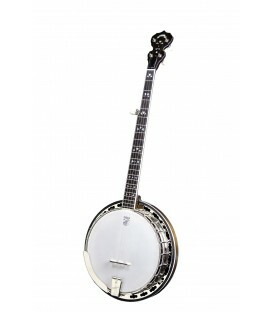 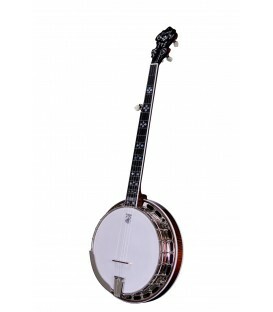 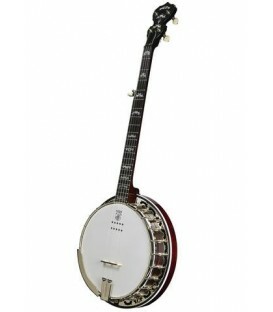 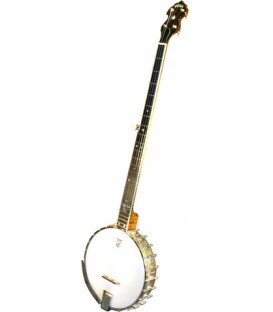 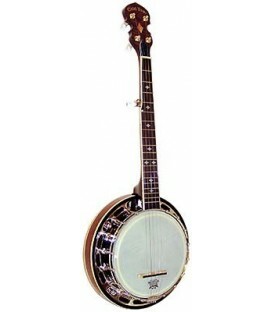 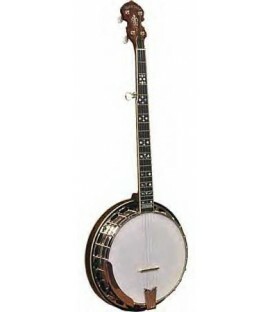 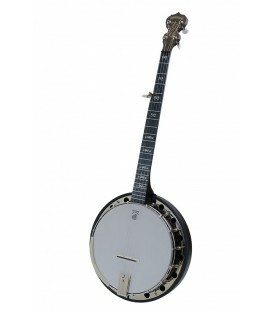 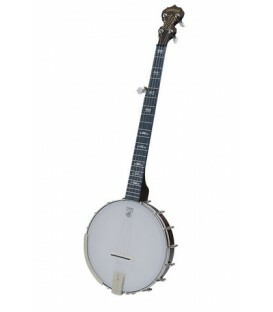 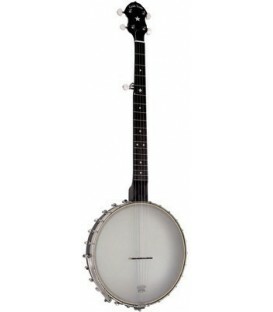 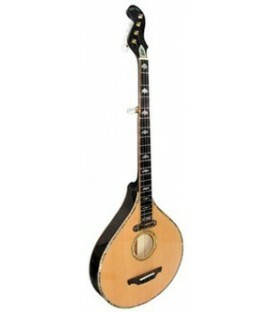 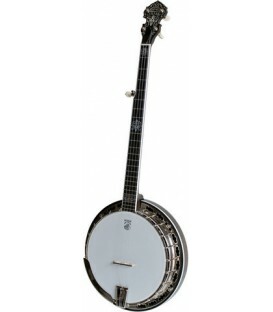 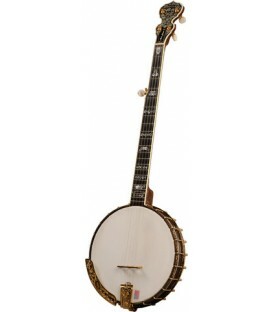 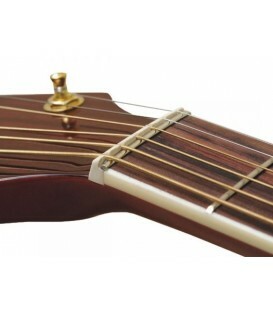 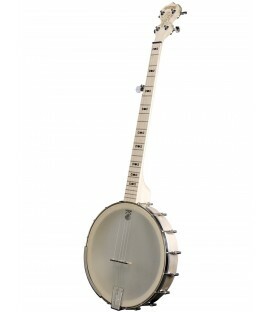 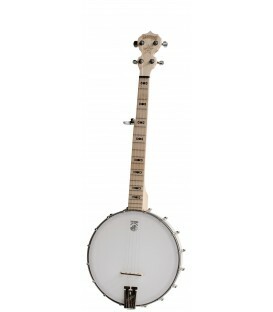 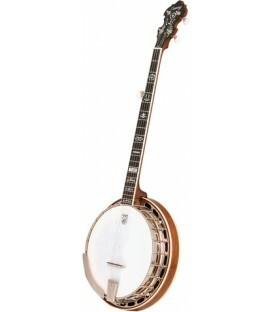 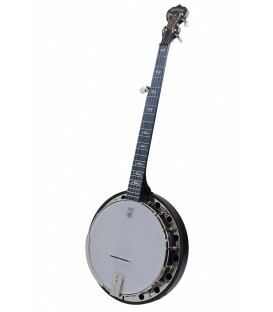 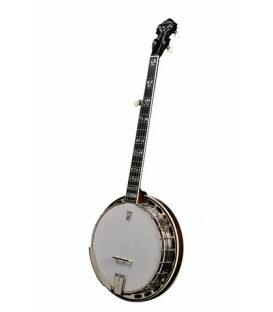 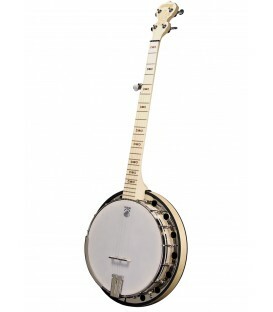 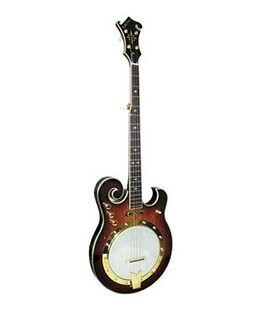 Now featuring a walnut neck, the Deering Deluxe truly stands out as a banjo with it's own tone. 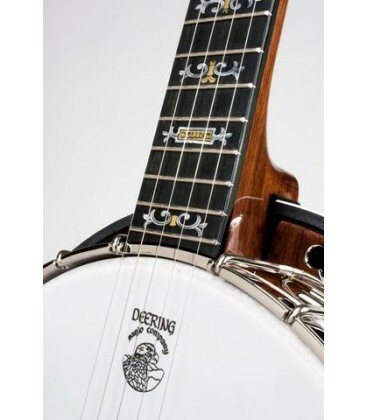 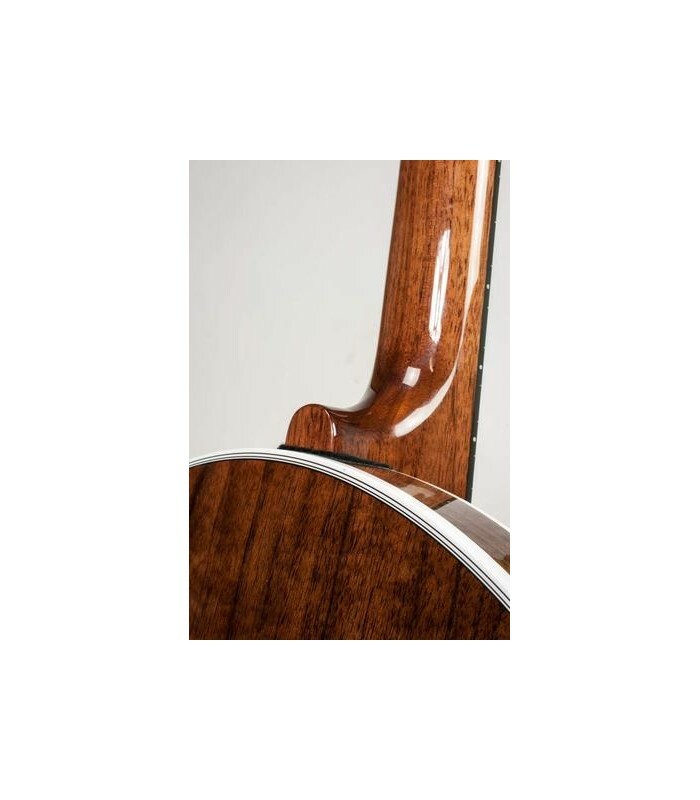 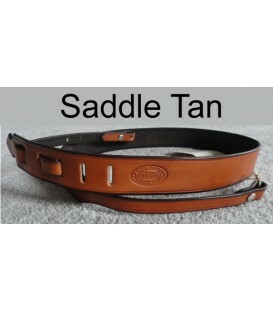 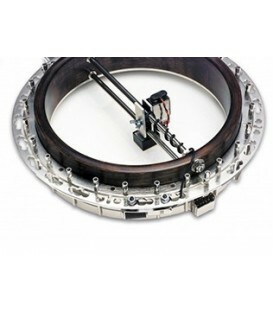 The walnut neck gives the banjo a perfect balance of brightness and warmth. 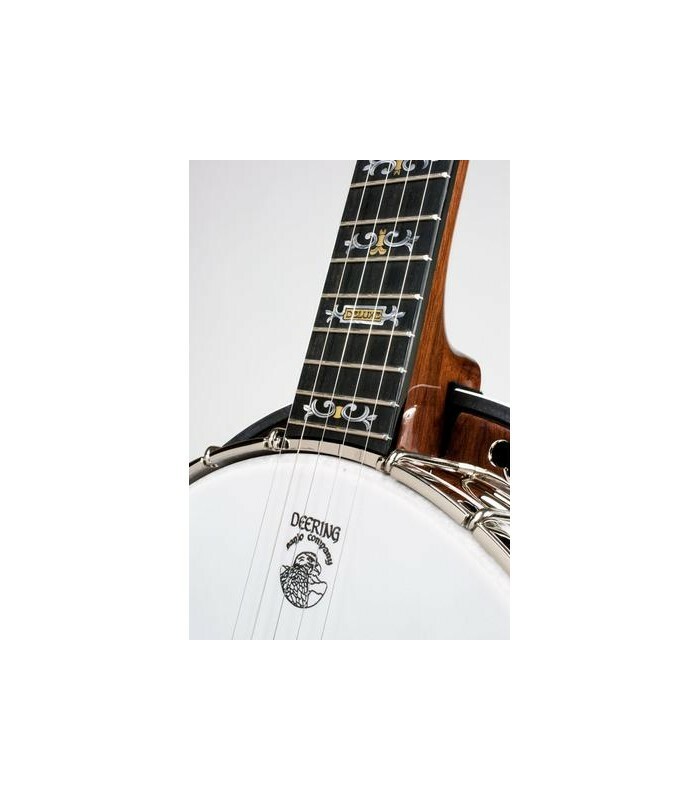 When paired with our -06- bell bronze tone ring, the Deluxe comes alive and gives you a banjo that will stand out from the pack. 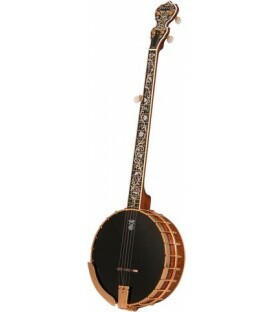 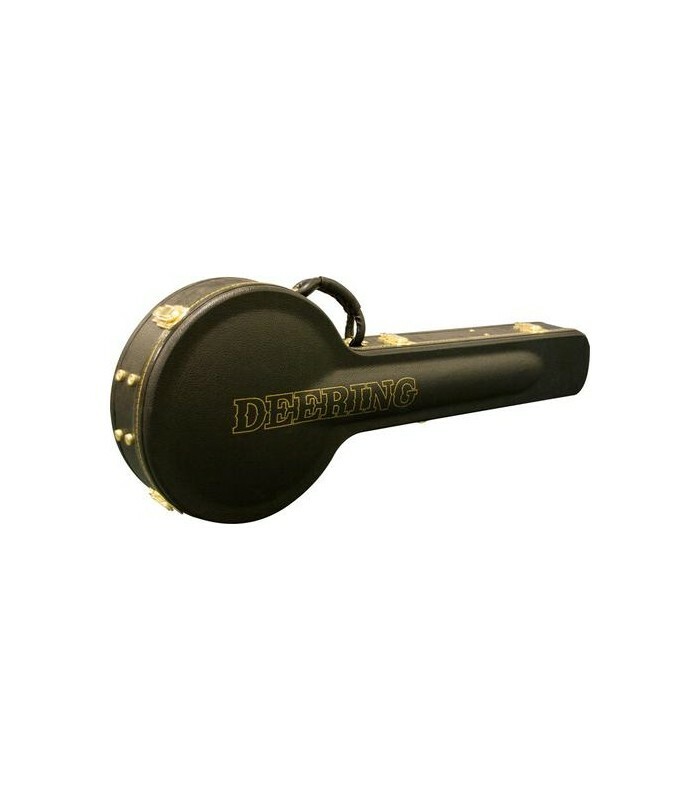 Built with Deering's genuine bell bronze tone ring, three ply violin grade maple rim and one piece, cast, zinc resonator flange, this Deluxe is as easy to play as it is beautiful. 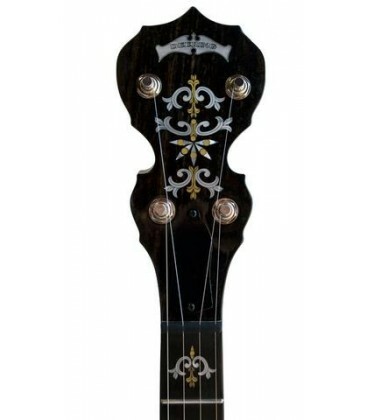 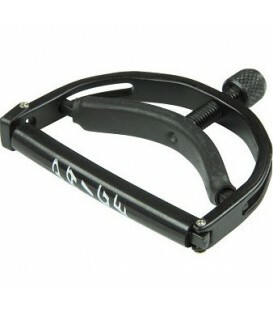 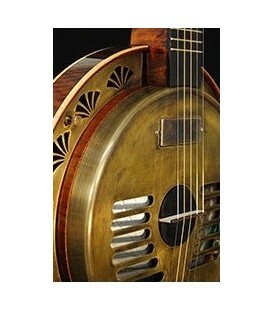 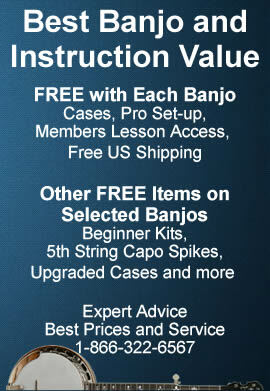 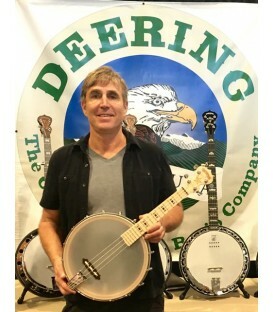 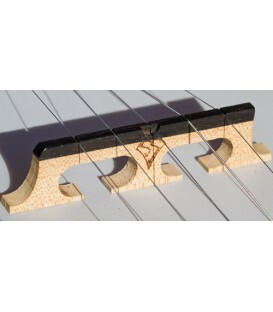 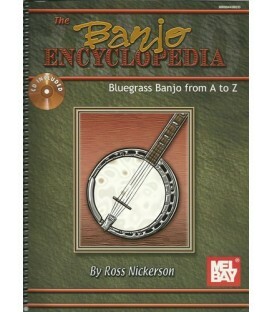 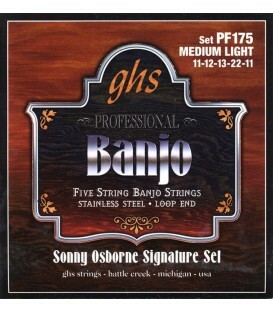 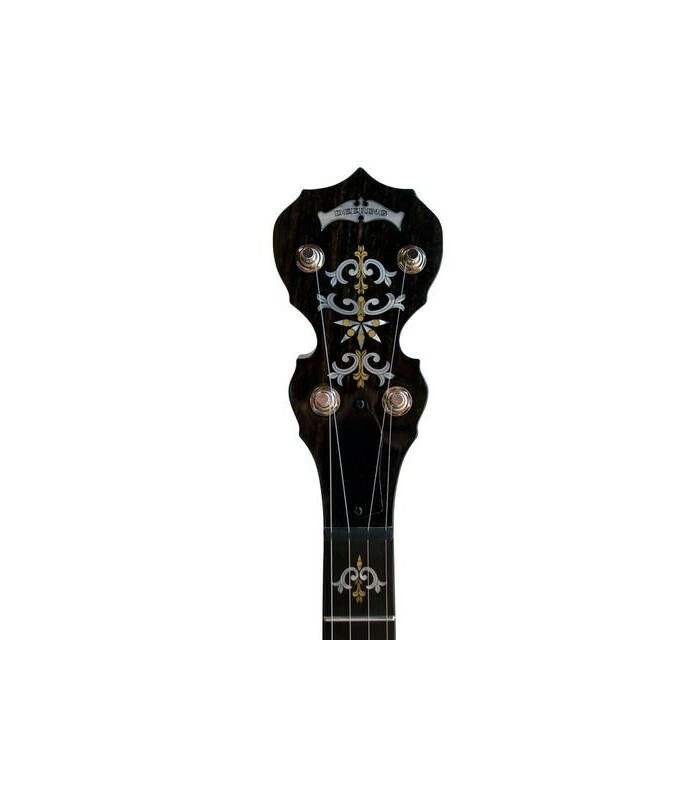 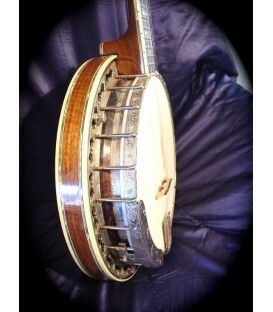 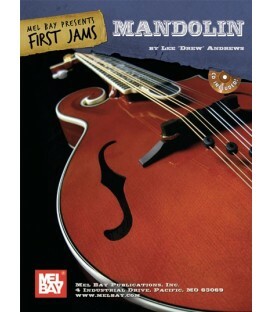 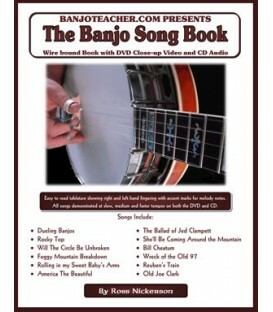 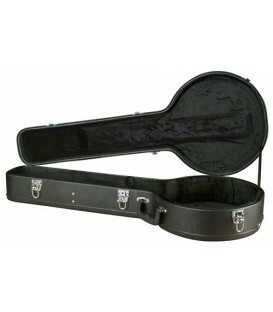 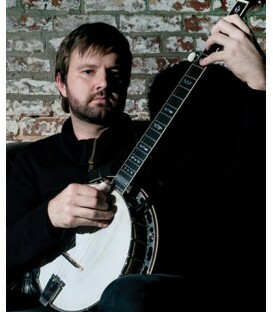 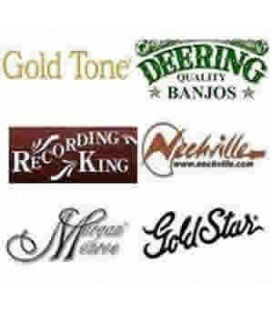 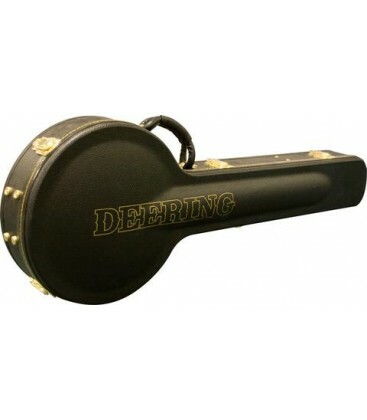 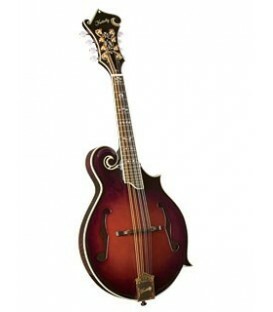 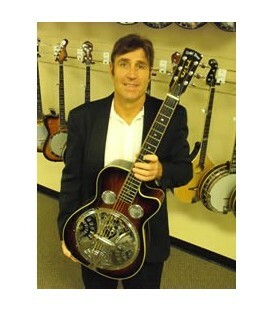 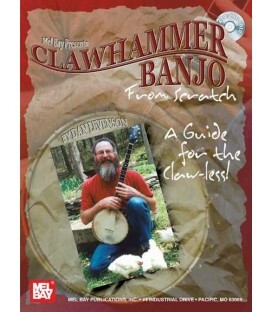 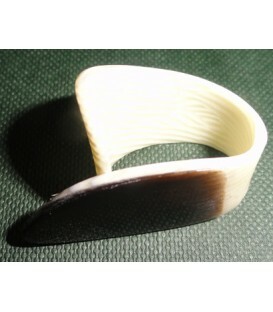 All 5-string Deering Bluegrass Banjos include the FREE items listed above. 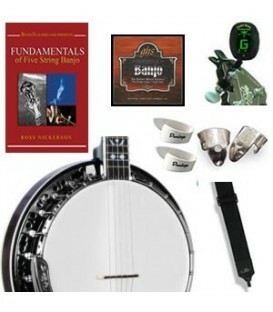 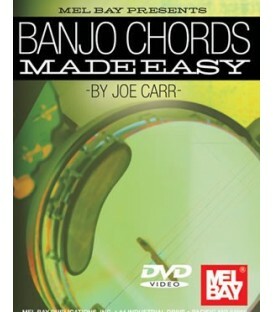 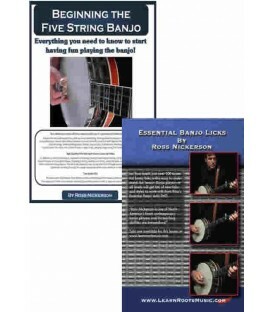 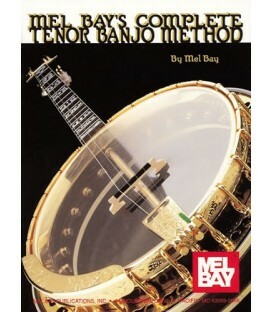 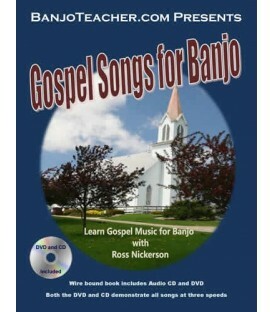 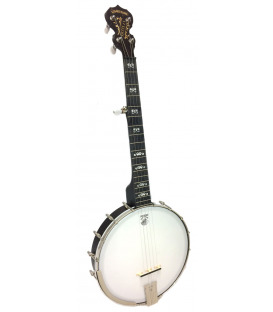 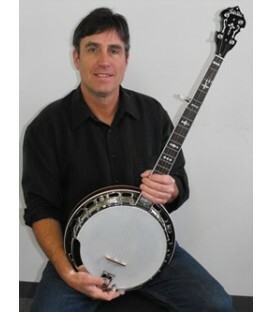 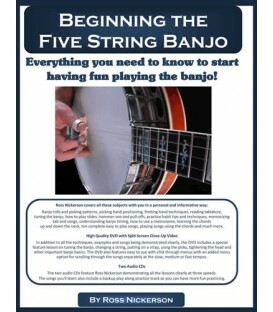 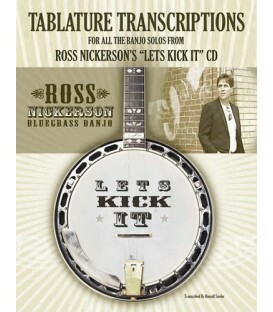 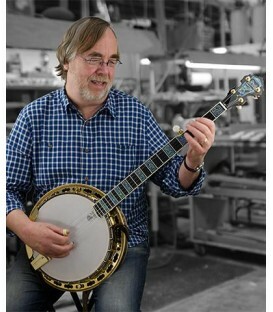 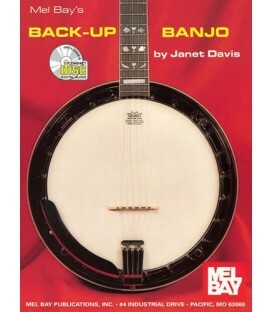 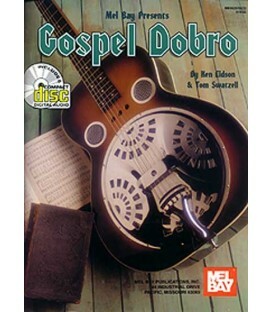 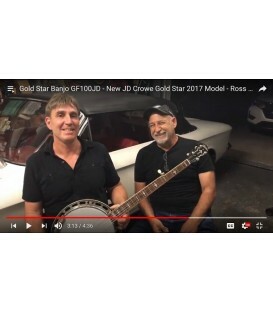 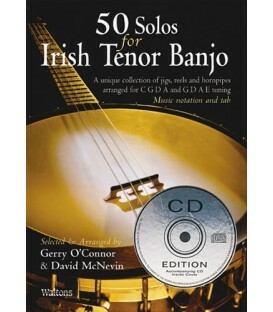 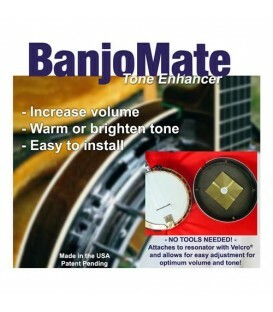 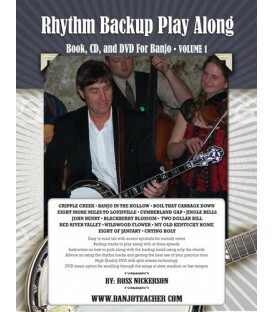 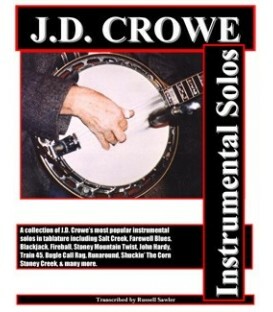 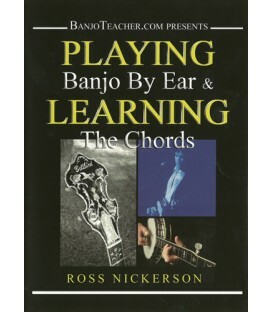 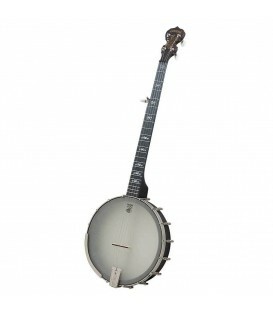 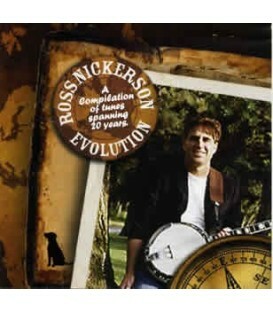 This banjo includes 5 Ross Nickerson DVDs, an electronic banjo tuner, the official Deering Hard Shell Banjo Case, Free Pro Set-up and Free US Shipping. 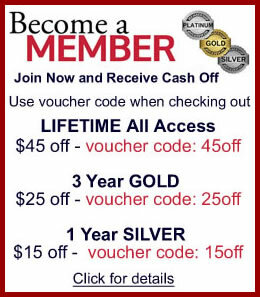 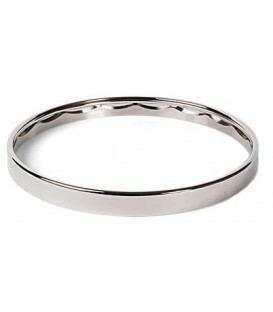 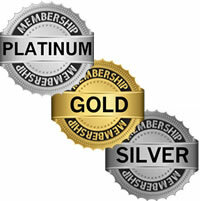 You can make substitutions for free items or receive credit for any free items offered. 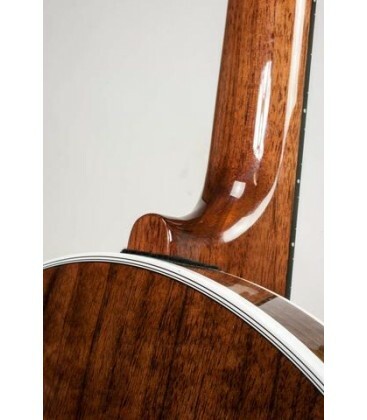 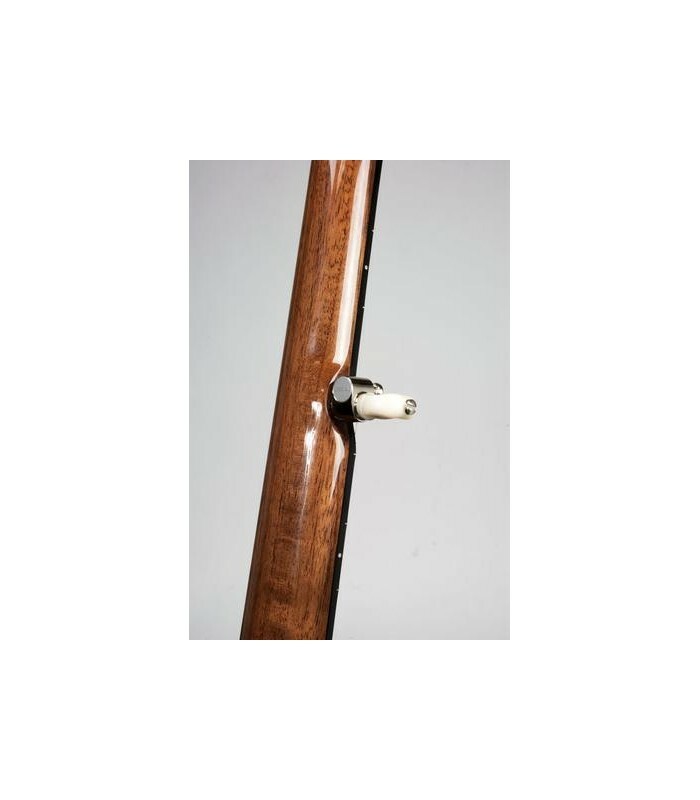 With the new walnut neck, the Deluxe features some of the characteristics found in both maple (brightness) and mahogany (warmth). 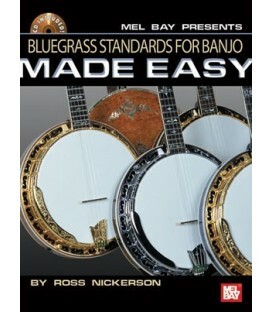 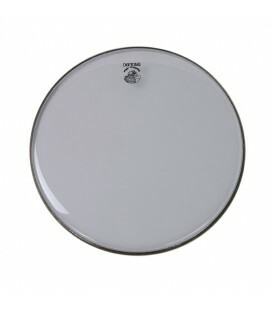 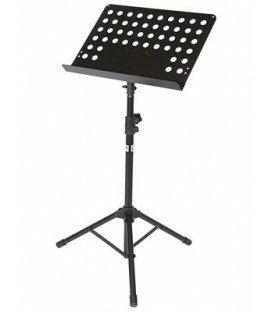 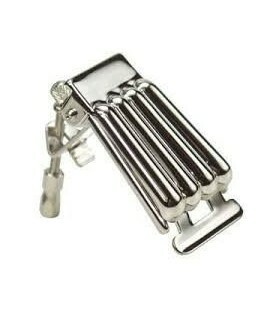 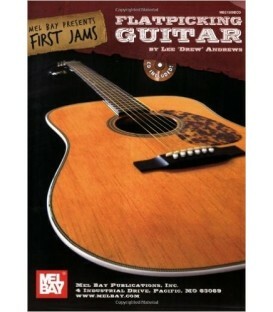 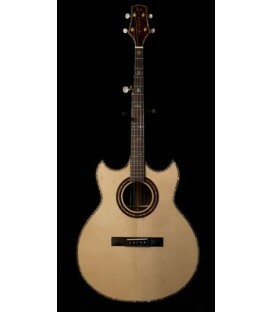 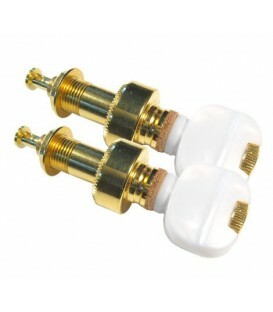 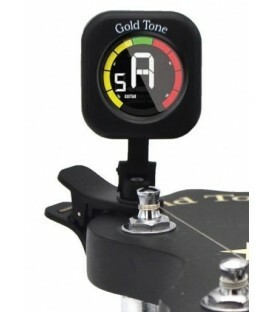 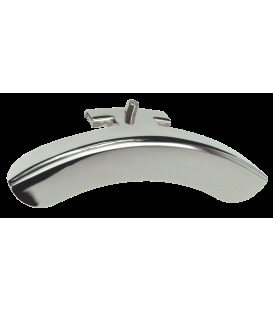 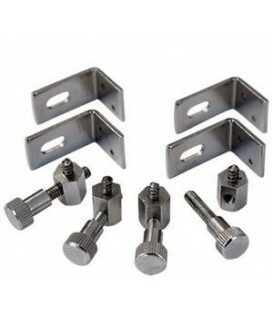 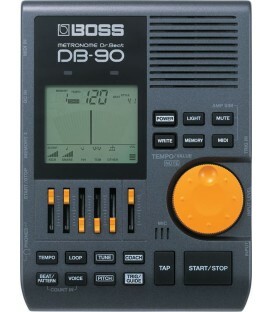 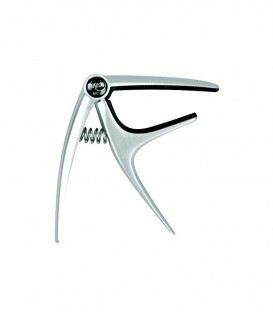 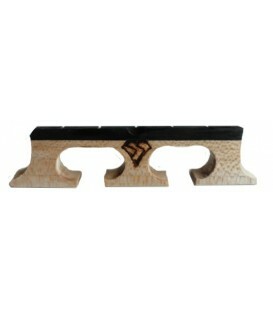 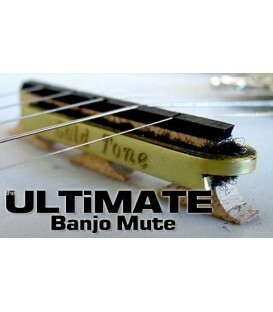 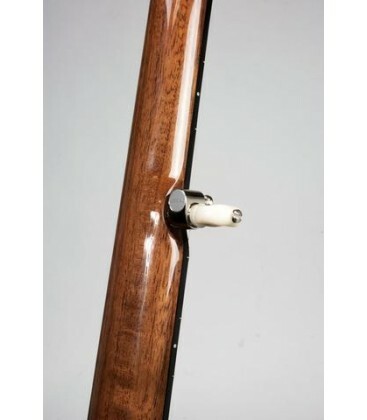 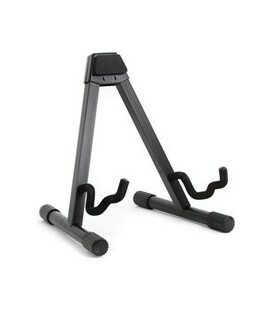 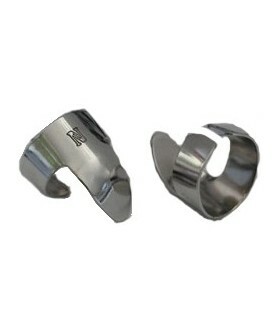 Easy to play with clarity and good note separation.